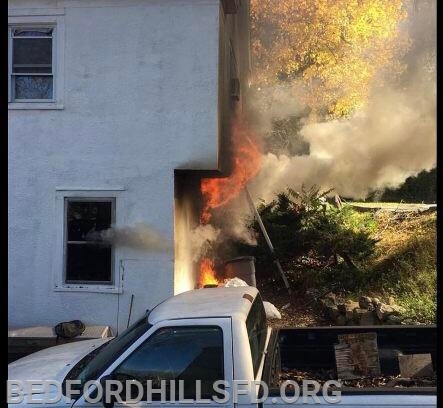 Shortly after 11:30am on Sunday November 4th, BHFD was alerted to the area of Griffin Ave and Church Street for a reported structure fire. 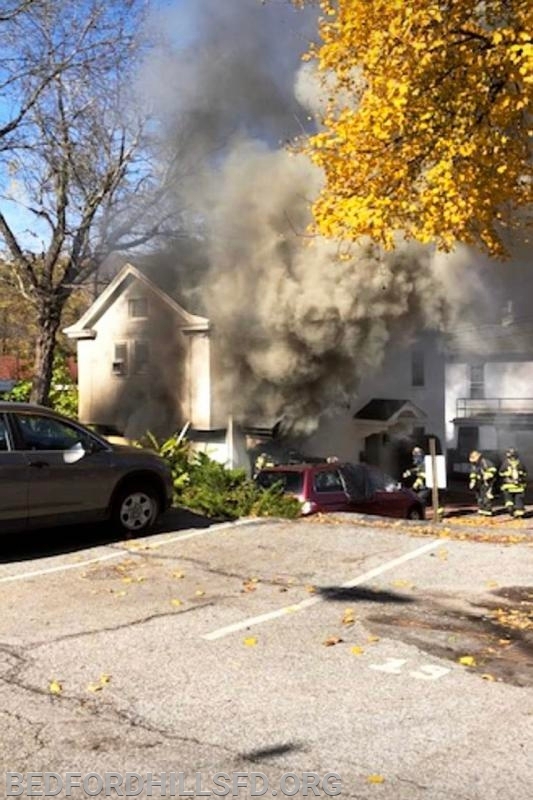 Westchester EMS 45-Medic 1, was passing by the area and notified 60 Control of the working fire. Upon hearing the transmission Deputy Chief D. Liburdi transmitted the 10-75 from Fire Headquarters with smoke showing in the area. 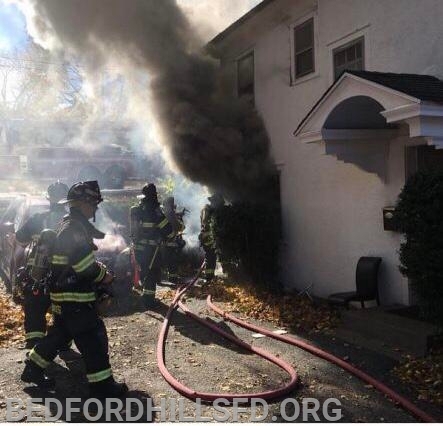 Engine 199 was first arriving, reconfirmed the working fire for the address of 25 Griffin Avenue, with heavy fire showing from the A/B corner of the structure. 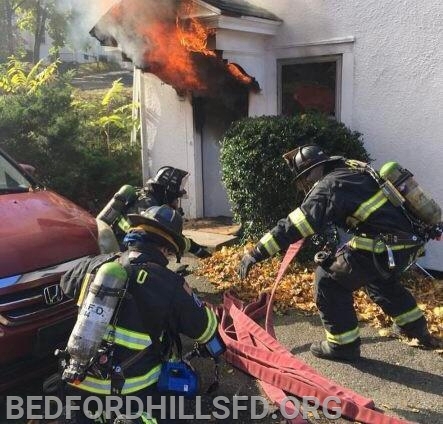 Engine 199 stretched 1 ¾” handline to the seat of the Fire, the crews of Tower Ladder 57 and Rescue 10 handled primary and secondary searches of the fire building. Engine 198 secured a positive water source by laying 5” supply line from the hydrant at Depot Plaza and Babbitt Road. Utility 6 and Fire Police controlled vehicular and pedestrian traffic. 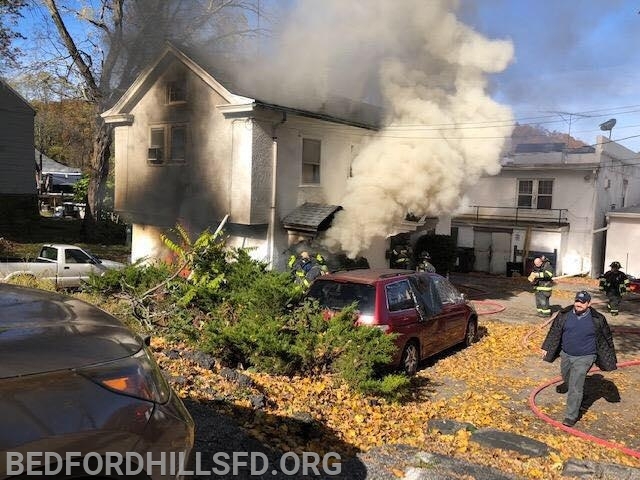 Upon the transmission on the 10-75, mutual aid Engines from the Katonah and Mount Kisco were requested to the scene, along with a Mount Kisco FAS Team and Katonah Bedford Hills EMS for standby. 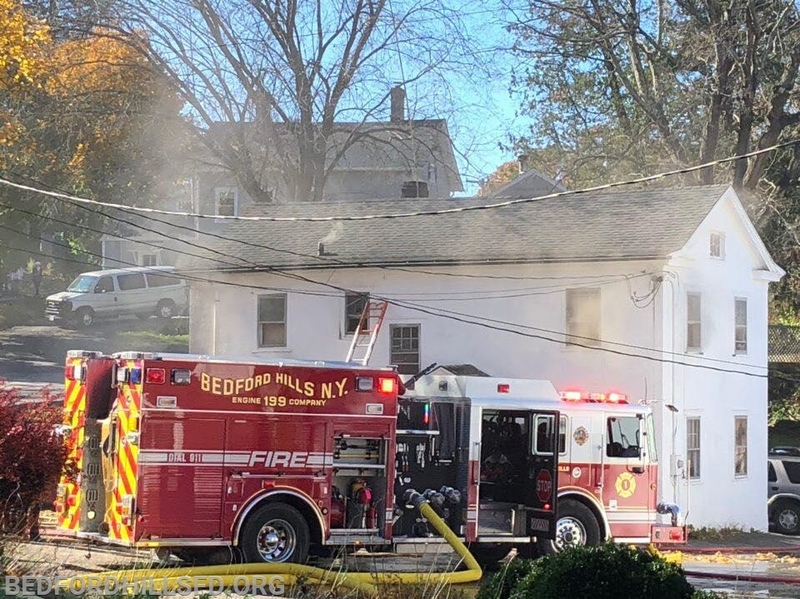 The Town of Bedford Building Department, Water Department and Police Department were on scene as well, along with the American Red Cross for displaced Residents. The Westchester County Cause and Origin Team was requested and responded to assist in determining the cause of the fire. 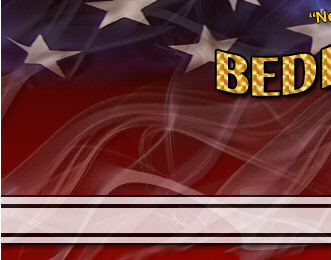 BHFD would like to thank our Mutual Aid Companies for providing assistance.